We are delighted to announce that Saving Mes Aynak will screen at the Full Frame Documentary Film Festival. Director/producer Brent Huffman and producer Zak Piper will attend the festival, which takes place in Durham, North Carolina on April 9 - 12, 2015. Full Frame has consistently been recognized as one the premiere documentary festivals worldwide, and is a favorite of ours. The film's official U.S. Premiere is on Saturday, March 28 at the American Documentary Film Festival in Palm Springs. The film, which premiered at IDFA 2014 in Amsterdam, also screens today the 18th International Vera Film Festival in Åland, Finland, and on March 21st and 28th at the upcoming Millenium International Documentary Film Festival held in Brussels, Belgium. Saving Mes Aynak follows Afghan archaeologist Qadir Temori as he races against time to save a 5,000-year-old archaeological site in Afghanistan from imminent demolition by a Chinese state-owned mining company. Our goal is to share Mes Aynak with audiences across the globe, and help build a strong and vocal community who believe this monumental site should be saved and preserved. The world was heartbroken by the recent destruction at the Mosul Museum and cultural heritage sites in Iraq and throughout the Middle East. 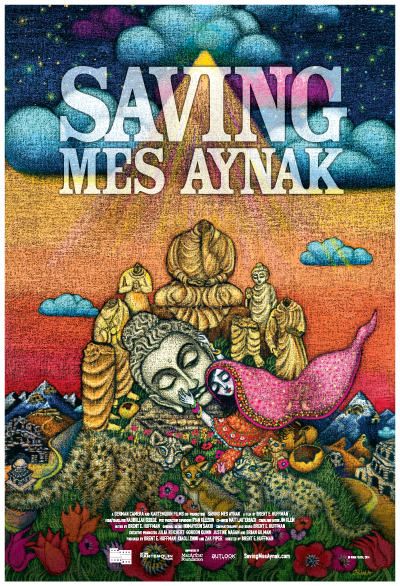 While we can still save Mes Aynak - time's running out. The demolition dates are nearing, and so we must gather our voices now in order to save this site before it’s too late. Please sign the official petition asking the Afghan government to stop the mining project and prevent total destruction of this incredible ancient site. Stay tuned as we announce more worldwide screenings, festivals and broadcasts and a major special event in the coming weeks and months. We are also delighted for KTQ Labs graduate film, Cairo in One Breath, directed by Anna Kipervaser, which will world premiere at Full Frame 2015. Anna brought the film to us in 2011 for a feedback screening, and we are so pleased to see it premiere at such a prestigious festival. Congratulations!